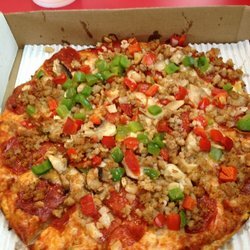 Philly may have its cheesesteaks, Boston Clam Chowder and New Orleans the Po’boy, but Dayton is becoming the pizza capital of the world! OK, not quite, but we sure do have a plethora of homegrown pizza places right here. The list seems endless: Flying Pizza, Marions Piazza, Cassano’s, Figlio, Wheat Penny, Pizza Factory, Milano’s, Corleoni’s, Little York Tavern, Hoagies Pizza House, Christy’s Pizza, South Park Pizza , El Greco’s Pizza Villa, New York’s Pizzeria Restaurant, Paisano&apos;s Condi&apos;s Pizza Pub, Marco’s Pizza, Spinoza’s Pizza & Salads, Classic Pizza, Mr. Eds Pizza & Drive Through, Pizza Express, Giovanni’s Pizzeria & Ristorante Italiano , Corleones Pizza, Mama’s Pizzeria, Boston’s Bistro & Pub, Ron’s Pizza & Ribs, Mama Disalvos, Johnny’s Pizzeria, Jet’s Pizza, Romeo’s Pizza, Kettering’s Italian Oven, Fox’s Pizza Den, Centerville Pizza & BBQ, Wise Guy’s Pizza & More, McIntosh’s Pub & Grub, Carmela’s Pizzeria, Don’s Pizza Palace, Piada Italian Street Food, Troni’s and of course The Oregon Express. Whew, and if I missed you I apologize, but you get the idea. 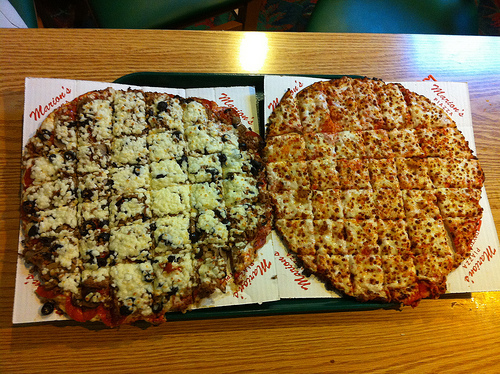 From thin to thick and all others in between, we LOVE pizza here in Dayton and The Miami Valley. But why is it so? Good Midwestern comfort food is my guess. Whether it’s cool in the winter or a warm summer day, there’s not a bad time for pizza. Pizza here began over 60 years ago with the launch of Cassano’s. Pizza was new unless you had an awesome Italian grandmother who knew what it took to make the perfect pizza pie. Marion’s soon followed and then BOOM! We had pizza coming out of our ears. Of course my list above does not include any chains, and that’s what makes independent pizza options in Dayton so awesome! There was nothing like as a kid my dad yelling out, ‘Let’s get Cassano’s!’ That salty crust with just the perfect amount of ingredients, well heaven on earth if you ask me. Pizza sales in the USA total something like $32 billion dollars and 252 million pounds of pepperoni is consumed every year. 350 slices are eaten each second and we eat 46 slices each per year, there are 70,000 pizzerias in our country, 65% independently owned. 3 billion pizzas are devoured in the U.S. every year and 5 billion worldwide. Finally, 93% of us eat at least one piece of pizza per month. That is probably triple for me because I have to look no further than my backyard for some of the best variety of pizza on the planet. As my Italian friends would say, “mangia bene” which means Eat Well!